The price of a traditional wireless mobile phone continues to decline and averages $71 in 2011, compared with an average of $81 at the beginning of 2009. The decline is primarily due to discounts provided by handset providers and wireless service carriers to incentivize sales. Currently, 42 percent of owners report having received a free mobile phone when subscribing to a wireless service. Mobile applications continue to enhance the smartphone user experience. More than two-thirds of owners say they have downloaded games and social networking applications to their device. More than one-half (54%) say they have downloaded entertainment-oriented applications, while 52 percent indicate having downloaded travel software, such as maps and weather applications. This indicates that smartphone owners are continuing to integrate their device usage into both their business and personal lives. 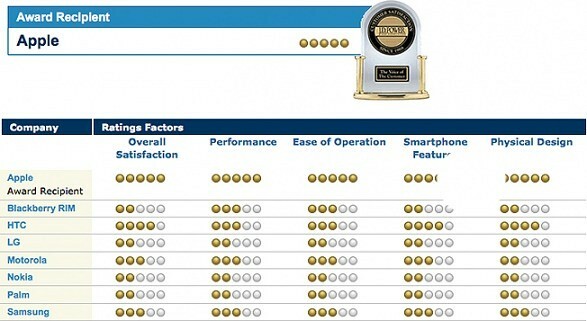 Customers are highly satisfied with 4G-capable devices. Satisfaction among customers using 4G-capable phones averages 819, compared with 786 among customers using phones with 3G capability. Owners of 4G devices are also more active in terms of calling, texting and browsing the Internet. The 2011 U.S. Wireless Smartphone Customer Satisfaction Study—Volume 2 and the 2011 U.S. Wireless Traditional Mobile Phone Satisfaction Study—Volume 2 are based on experiences reported by 6,898 smartphone owners and 8,775 traditional mobile phone owners. Both studies were fielded between January and June 2011.